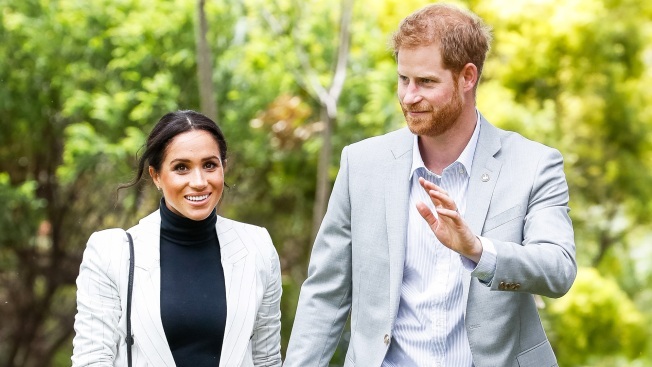 The Duke and Duchess of Sussex launched their own official account on Tuesday. The account will serve as a place where the royal couple can update followers on major news and promote causes close to their hearts. "Welcome to our official Instagram," the two wrote alongside their first post. "We look forward to sharing the work that drives us, the causes we support, important announcements, and the opportunity to shine a light on key issues. We thank you for your support, and welcome you to @sussexroyal." The couple then signed off with "Harry & Meghan." So, what kind of content did the dynamic duo include in their first post? The future parents posted pictures from their travels--including their recent royal tour--as well as a few shots of them supporting a range of causes, like conservation. The duke and duchess used to update royal admirers on their initiatives via the Kensington Palace social channels, which they shared with Kate Middleton and Prince William. However, Harry and Meghan are establishing their own royal household and it looks like they're getting their own social media accounts to match. "Welcome to Instagram, @SussexRoyal!" a post from the Duke and Duchess of Cambridge's account read. Harry and Meghan aren't the only ones in the royal family to recently make an Instagram debut. As fans will recall, Queen Elizabeth shared her first post on the social network last month. The move also came shortly after Buckingham Palace, Clarence House and Kensington Palace published guidelines for interacting with the royals via their official channels.